Stress is a condition experienced by individuals that triggered by the physical needs, environmental, and social situations that typically harmful and uncontrolled. High density of activity and also pressures in work environment often cause distress, even leaning towards depression major depression. Stress often associated with various types of diseases or health disorders, such as depression, high blood pressure, obesity, and heart problems as well. 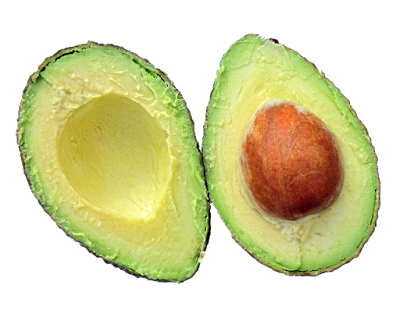 The monosaturated fats and potassium in avocados help to put down blood pressure. The National Heart, Lung, and Blood Institute says that among the finest ways to lower blood pressure is to consume enough potassium (avocados have more potassium than bananas). Moreover, it is also high in glutathione, a substance that specifically blocks intestinal absorption of certain fats that cause oxidative damage. Blueberries are very rich with antioxidants and vitamin C, which are potent stress busters. Antioxidants fight free radicals that damage your cells and also help to repair and protect your body from the effects of stress. As an added bonus, they're low in calories, so they won't make you blimp-like. Blueberries are also a nice source of fiber, which can help us to relieve the cramps and constipation that can happen in times of stress. Mix the little suckers with somecottage cheese or eat them on their own as a healthy snack or dessert. Oranges are incredibly rich with vitamin C and have the added benefit for being totally portable. Stress makes our body release even more free radicals than when we are in good mood. Interestingly, vitamin C can control the free radicals, and repair the body. Basically, it helps protect the body from the cumulative effects of stress. Bananas are very rich with potassium, this mineral is essential in the regulation of blood pressure (which can soar when you're stressed). Bananas are also great in pacifying and soothing our head since they are rich in tryptophan that known as an amino acid which boosts the formation of the serotonin hormone and makes you feel good and melatonin hormone which can makes you sleep well. Cashews are an especially good source of zinc. Nutritionists show that low levels of zinc have been associated with both anxiety as well as depression. In fact, your body have no way to storing zinc, it's very important every day. Nevertheless, for those going on a diet, they should use a proper portion size, as cashews are high in calories. Walnuts contain fibers, antioxidants, and unsaturated fatty acids, particularly alpha linolenic acid, omega-3 fatty acid. These compounds could be in charge of the beneficial effects on blood pressure. Other polyphenols loaded in walnuts have been shown to help prevent memory loss. Today, nutritionist have learned that these tasty nut products can help to remove stress and could also help to reduce C-reactive protein and other markers of inflammation. Almonds are great stress relievers: they're packed with riboflavin (Vitamin B2), zinc, magnesium and vitamin E. B vitaminsand magnesium are engaged in the production process of serotonin, which helps relieve stress and rehab mood. Zinc has also been shown to fight a few of thenegative effects of stress, while vitamin E is an antioxidant that destroys the free radicals related to stress and heart disease. Yet, you should only eat a tiny handful at a time since almonds are high in fat. Although it is generally healthy fat of the unsaturated variety, it might still make you pack on the pounds.